There are many factors (some favorable and some unfavorable) and physical resource assessments that will dramatically influence and shift any lunar base-development scenario that will be suggested in 2007. 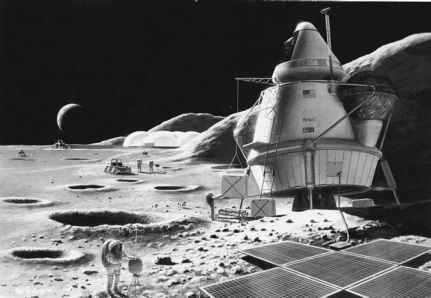 Recognizing such limitations in contemporary technical projections, this section provides a generalized overview of what might take place during the remainder of this century if human space-exploration activities include the development of a permanent lunar base. the suspected deposits of lunar ice in the polar regions) in support of humanity's extraterrestrial expansion. A lunar base is a permanently inhabited complex on the surface of the Moon. In the first permanent lunar-base camp, a team of from 10 up to perhaps 100 lunar workers will set about the task of fully investigating the Moon. The word permanent here means that human beings will always occupy the facility, but individuals probably will serve tours of from one to three years before returning to Earth. Some workers at the base will enjoy being on another world. Some will begin to experience isolation-related psychological problems, similar to the difficulties often experienced by members of scientific teams, who "winter-over" in Antarctic research stations. Still other workers will experience injuries or even fatal accidents while working at or around the lunar base. For the most part, however, the pioneering lunar-base inhabitants will take advantage of the Moon as a science-in-space platform and perform the fundamental engineering studies needed to confirm and define the specific roles that the Moon will play in the full development of space for the remainder of this century and in centuries beyond. 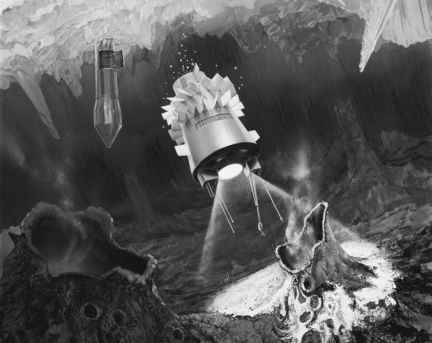 For example, the discovery of frozen volatiles (including water) in the perpetually frozen recesses of the Moon's polar regions could change lunar-base logistics strategies and accelerate development of a large lunar settlement of as many as 10,000 or more inhabitants. 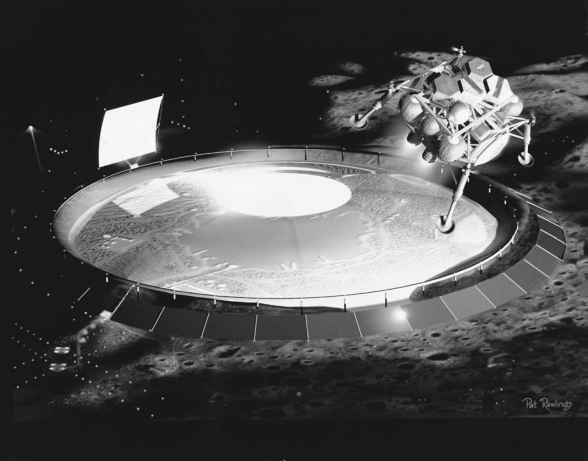 Many lunar-base applications have been proposed. Some of these concepts include: (1) a lunar scientific laboratory complex; (2) a lunar industrial complex to support space-based manufacturing; (3) an astrophysical observatory for solar system and deep space surveillance; (4) a fueling station for orbital transfer vehicles that travel through cislunar space; and (5) a training site and assembly point for the first human expedition to Mars. Social and political scientists suggest that a permanent lunar base could also become the site of innovative political, social, and cultural developments—essentially rejuvenating our concept of who we are as intelligent beings and boldly demonstrating our ability to apply advanced technology beneficially in support of the positive aspects of human destiny. Another interesting suggestion for a permanent lunar base is its use as a field operations center for the rapid response portion of a planetary defense system that protects Earth from threatening asteroids or comets. spawn several new settlements—each taking advantage of some special location or resource deposit elsewhere on the lunar surface. In the next century, this collection of permanent human settlements on the Moon could continue to grow, reaching a combined population of about 500,000 persons and attaining a social and economic "critical mass" that supports true self-sufficiency from Earth. 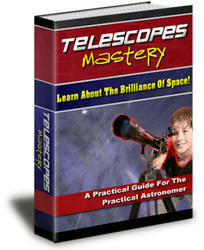 This moment of self-sufficiency for the lunar civilization will also be a very historic moment in human history. With the rise of a self-sufficient, autonomous lunar civilization, future generations will have a choice of worlds on which to live and to prosper, for from that time on, the human race will exist in two distinct and separate "biological niches"—people will be either terran or nonterran (that is, extraterrestrial). The vast majority of lunar-base development studies include the use of the Moon as a platform from which to conduct science in space. Scientific facilities on the Moon will take advantage of its unique environment to support platforms for astronomical, solar, and space science (plasma) observations. The unique environmental characteristics of the lunar surface include low gravity (one-sixth that of the Earth), high vacuum, seismic stability, low temperatures (especially in permanently shadowed polar regions), and a low radio-noise environment on the Moon's farside. Astronomy from the lunar surface offers the distinct advantages of a low radio-noise environment and a stable platform in a low-gravity environment. The farside of the Moon is permanently shielded from direct terrestrial radio emissions. As future radio-telescope designs approach their ultimate (theoretical) performance limits, this uniquely quiet lunar environment may be the only location in all cislunar space where sensitive radio-wave-detection instruments can be used to full advantage, both in radio astronomy and in our search for extraterrestrial intelligence (SETI). In fact, radio astronomy, including extensive SETI efforts, may represent one of the main "lunar industries" later in this century. In one sense, SETI performed by lunar-based scientists could be viewed as "extraterrestrials" searching for other extraterrestrials. The Moon also provides a solid, seismically stable, low-gravity, high-vacuum platform for conducting precise interferometric and astrometric observations. For example, the availability of ultrahigh-resolution (micro-arcsecond) optical, infrared, and radio observatories will allow astronomers to search carefully for Earth-like extrasolar planets that encircle nearby stars, to a distance of perhaps several hundred light-years. A lunar scientific base also provides life scientists with a unique opportunity to study extensively biological processes in reduced gravity (one-sixth that of Earth) and in low magnetic fields. Genetic engineers can conduct their experiments in comfortable facilities that are nevertheless physically isolated from the Earth's biosphere. Exobiologists can experiment with new types of plants and microorganisms under a variety of simulated alien-world conditions. Genetically engineered "lunar plants" that were grown in special greenhouse facilities could become a major food source, while also supplementing the regeneration of a breathable atmosphere for the various lunar habitats. The true impetus for large, permanent lunar settlements will most likely arise from the desire for economic gain—a time-honored stimulus that has driven much technical, social, and economic development on Earth. The ability to create useful products from native lunar materials will have a controlling influence on the overall rate of growth of the lunar civilization. Some early lunar products can now easily be identified. Lunar ice, especially when refined into pure water or dissociated into the important chemicals, hydrogen (H2) and oxygen (O2), represents the Moon's most important resource. Other important early lunar products include: (1) oxygen (extracted from lunar soils) for use as a propellant by orbital transfer vehicles traveling throughout cislunar space; (2) raw (i.e., bulk, minimally processed) lunar soil and rock materials for space radiation shielding; and (3) refined ceramic and metal products to support the construction of large structures and habitats in space. The initial lunar base can be used to demonstrate industrial applications of native Moon resources and to operate small pilot factories that provide selected raw and finished products for use both on the Moon and in Earth orbit. Despite the actual distances involved, the cost of shipping a pound (kg) of "stuff" from the surface of the Moon to various locations in cislunar space may prove much cheaper than shipping the same "stuff" from the surface of Earth. The Moon has large supplies of silicon, iron, aluminum, calcium, magnesium, titanium, and oxygen. Lunar soil and rock can be melted to make glass—in the form of fibers, slabs, tubes, and rods. Sintering (a process whereby a substance is formed into a coherent mass by heating but without melting) can produce lunar bricks and ceramic products. Iron metal can be melted and cast or converted to specially shaped forms using powder metallurgy. These lunar products would find a ready market as shielding materials, in habitat construction, in the development of large space facilities, and in electric-power generation and transmission systems. Lunar mining operations and factories can be expanded to meet growing demands for lunar products throughout cislunar space. With the rise of lunar agriculture (accomplished in special enclosed facilities), the Moon may even become our "extraterrestrial breadbasket"—providing the majority of all food products consumed by humanity's extraterrestrial citizens. One interesting space-commerce scenario involves an extensive lunar-surface mining operation that provides the required quantities of materials in a preprocessed condition to a giant space manufacturing complex located at Lagrangian libration point 4 or 5 (L4 or L5). These exported lunar materials would consist primarily of oxygen, silicon, aluminum, iron, magnesium, and calcium that were locked into a great variety of complex chemical compounds. It has often been suggested by space visionaries that the Moon will become the chief source of materials for space-based industries in the latter part of this century. Numerous other tangible and intangible advantages of lunar settlements will accrue as a natural part of their creation and evolutionary development. For example, the high-technology discoveries that originate in a complex of unique lunar laboratories could be channeled directly into appropriate economic and technical sectors on Earth as "frontier" ideas, techniques, products, and so on. The permanent presence of people on another world (a world that looms large in the night sky) will suggest continuously an open world philosophy and a sense of cosmic destiny to the vast majority of humans who remain behind on the home planet. The human generation that decides to venture into cislunar space and to create permanent lunar settlements will long be admired not only for its great technical and intellectual achievements but also for its innovative cultural accomplishments. Finally, it is not too remote to speculate that the descendants of the first lunar settlers will become first the interplanetary, then the interstellar, portion of the human race. The Moon can be viewed as humanity's stepping stone to the universe.